Free cancellation two days before arrival. On check in time we need valid passport or ID. 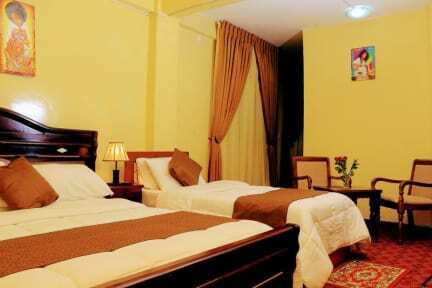 Keba Guest House is a family owen B&B located at very quiet and safe area close to the British Embassy Addis Ababa. 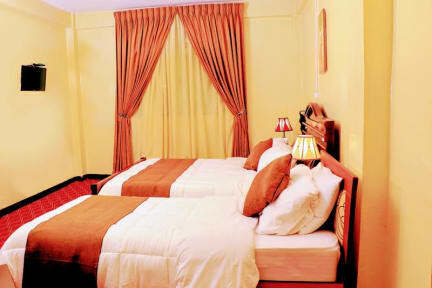 We offer clean and friendly accommodation close to the center of Addis Ababa, within 10 minutes drive from Bole International Airport. We offer; free airport pickup service, free Wi-Fi access in all rooms, breakfast served every morning, laundry service, daily housekeeping, 24 hrs security service, Car Rental for different activities, Tour operators facility and many more. Keba Guest House is located close to the Airport 2 miles from Bole International Airport and short walking distance to Zefmesh Grand Mall. Around Keba Guest House you will find Bank, Restaurants etc. We have 12 spacious and comfortable guest rooms with en-suite bathroom and Hot Shower, free Wi-Fi, fully carpeted, satellite TV and daily houskeeping. Also we provide self-catering accommodation with well-equipped modern kitchen. We serves Breakfast, lunch and dinner as you request with varied menu of international cuisine. You will find laundry service, 24 hrs security and free airport pick-up. We can also arrange city tour with reasonable price!